Don't settle for the tunnel vision of ordinary goggles. When Oakley engineered Canopy, they expanded the lens volume and created a low-profile frame design. That means you'll enjoy a wide-open view with maximized peripheral and downward vision. Don&apos;t settle for the tunnel vision of ordinary goggles. When Oakley engineered Canopy, they expanded the lens volume and created a low-profile frame design. That means you&apos;ll enjoy a wide-open view with maximized peripheral and downward vision. The razor-sharp optics take advantage of Plutonite lens material that filters out 100% of all UV, and with the combination of dual vented lens architecture and F3 anti-fog coating, you&apos;ll have superior protection against the threat of fog-ups. Oakley&apos;s O-Flow Arch technology makes the simple act of breathing a lot easier. For even more comfort, the face foam is a triple layer with moisture-wicking fleece, and the O Matter chassis stays flexible in bone-chilling weather while the strap anchor plates distribute pressure evenly. The wide, adjustable strap has silicone lining to stay securely in place. Canopy is designed for improved compatibility with helmets and most prescription eyewear frames. 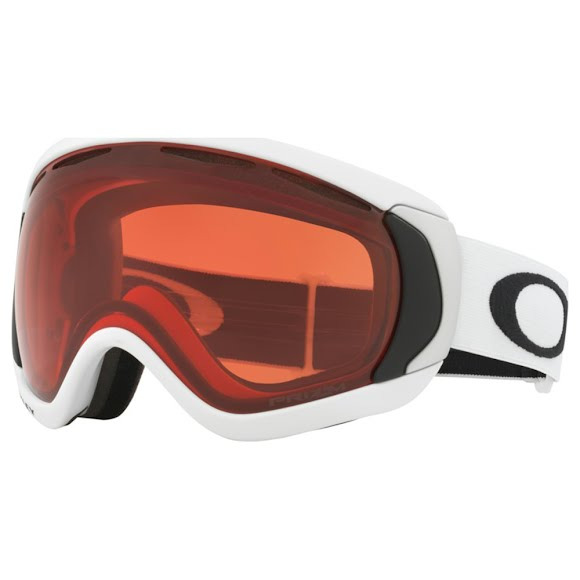 As far as protection goes, this Oakley goggle meets the impact resistance standards of ANSI Z87.1 and EN 174:2001. An invisible form of radiation, UV rays pelt your retinas at 186,000 miles per second. Eye damage linked to UV includes cataract, photokeratitis and pterygium. UV damage builds up over time. You generally don&apos;t feel UV rays, so there is no natural warning that damage is being done. And although clouds reduce the level of UV reaching your eyes, clouds don&apos;t block UV completely, which means your eyes can be exposed to UV rays even on overcast days. This is by far the best goggle I have ever owned. The light spectrum of this goggle is nothing short of amazing. Highly recommend to any person on the slope. Great goggle, Bought as a second set since the price for the lens alone was $100.00. Great price. Almost as cheap as just the replacement lens I was going to buy. Love the goggles and performance.